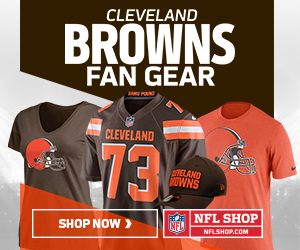 New Era has started their end of season sale on NFL merchandise. Most of the stuff that is in this sale is, totally unsurprisingly, caps, although I did spot a Baltimore Ravens Sideline Knit in there as well. There is all manner of cap designs in this sale including 59Fifty, 39Thirty, 9Fifty and the Low Profile 59Fifty’s. Also, if you fancy a change from the usual team logo cap, they also have the AFC and NFC Pro Bowl caps to choose from — although, how they can justify £40 for a 9Fifty Snapback one of them in the first place is well and truly beyond me. The good news is that they are down to a more reasonable £28 in this sale so go grab one now if that’s your thang. I’m knocking on a bit now and so don’t really see myself wearing the big 59Fifty caps but I do quite like the new low profile versions of them as it’s the high-sitting of the normal ones that I don’t like, perhaps I’ll take the plunge and go for one of these low profile jobbies. I must admit that I am partial to a more old skool 39Thirty, though, and think I’ll be helping myself to one of them, just to add to the collection. It looks to me like every team is represented (although I must admit that I haven’t done a thorough stock-check) and there’s some good discount on all the stuff in this NFL end of season sale (up to 50%), so now’s the time to go have a look and see what they’ve got for you.